The superhero genre reigns supreme at the box office. 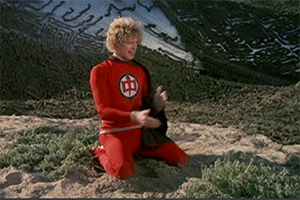 There are also dozens of spandex-wearing heroes on the small screen. It feels like a modern phenomenon. However, caped crusaders have long been a part of American pop culture. 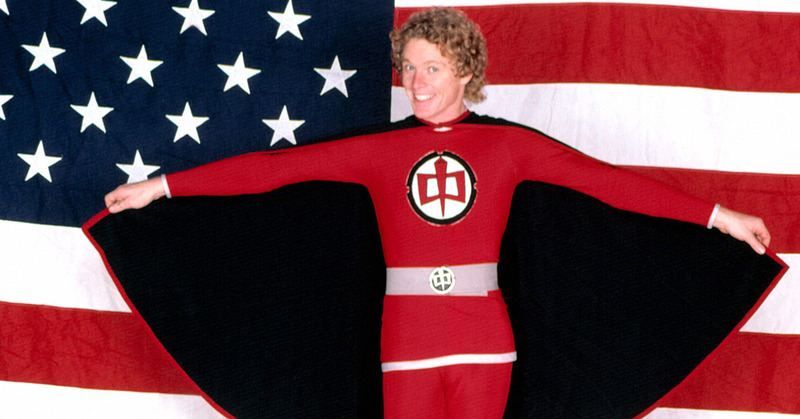 From 1981 to 1983, The Greatest American Hero flew into our living rooms. 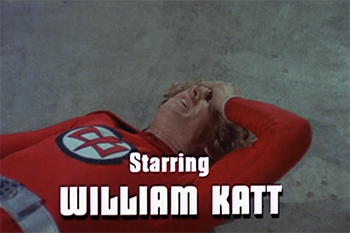 The red-clad good guy, played by William Katt, followed in the footsteps of Wonder Woman and The Incredible Hulk. However, this hero was far from super. The series poked fun at the genre and worked as much as a comedy as it did an action show. Costarring Robert Culp and Connie Sellecca, The Greatest American Hero quickly became a cult favorite. That fantastic theme song certainly didn't hurt. Let's take a look at some things you might not know about the series. 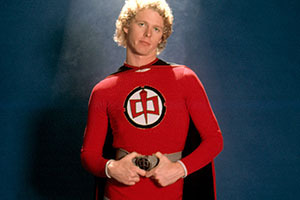 Catch The Greatest American Hero as part of H&I's Comic Book Heroes block on Saturdays, 10A ET | 7A PT & 11A ET | 8A PT. The symbol on his chest is either a needle or scissors. It depends on who you ask. 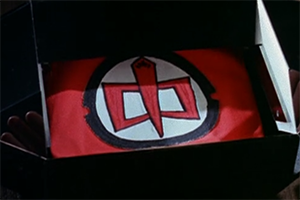 On the Season One DVD collection, creator Stephen J. Cannell explains the chest symbol was inspired by a pair of square-handled scissors kept on his desk. In the book The World Encyclopedia of Superheroes, author Jeff Rovin calls it the "open book and needle emblem," though he could be merely describing it. We'll side with the series creator. The symbol also looks like a Chinese character. The emblem on the costume also looks like the Chinese character 中, which can mean "center," "middle," "in," "among" or "within." This led to the show being called 飛天紅中俠 in Hong Kong, which loosly translates as Flying Red Center Hero. Meanwhile, in Sweden, the show was titled Titta, han flyger, which means, Look! He Flies! The hero's name was changed because of an attempted Presidential assassination. The mild-mannered alter ego of our hero is a public school teacher named Ralph Hinkley. He leads a rather Sweathogian classroom in Los Angeles. Unfortunately, in March of 1981, a few weeks after the series premiered, John Hinckley Jr. attempted to shoot President Ronald Reagan. The producers quickly changed the character's name to Ralph Hanley, though it eventually reverted back to Hinkley. 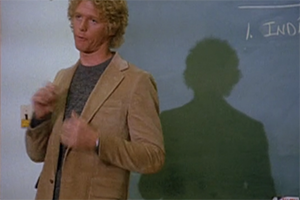 William Katt was considered for the role of Luke Skywalker. Could you image Star Wars with William Katt and Kurt Russell zipping around in the Millennium Falcon? It almost happened. Katt was close to landing the lead role of the eventual Jedi knight. Thanks to the miracle of YouTube, we can watch footage of his audition. Superman, Wonder Woman and Aquaman show up in the pilot. 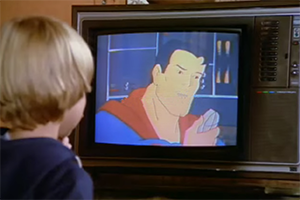 In the pilot episode (which coincidentally revolves around the GAH preventing the assassination of the President), Hinley's son is watching an episode of the Superfriends cartoon. We see Supes, as well as other members of the Justice League, as a military leader implores, "Superman, men all over the world are being dematerialized by strange possessed women with glowing eyes!" Warner Bros. sued ABC over the show. Despite the cameos of their biggest heroes in the pilot, Warner Bros., the owners of DC Comics, were none too pleased with the show. The company viewed it as an infringement on their Superman character and took the network to court. The case, Warner Bros. Inc. v. American Broadcasting Companies, Inc., became a landmark in copyright litigation. The court ruled in favor of the TV show, proclaiming, "The way [the bumbling] Hinkley looks and acts marks him as a different, non-infringing character." The theme song reached No. 2 on the pop charts. 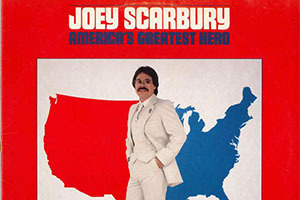 The brilliant Joey Scarbury–sung opening theme, "Believe It or Not," undeniably contributed to the popularity of the show. It remains one of the greatest American TV tunes. The music was written by Mike Post (Stephen Geyer penned the lyrics), who is the genius composer behind the themes to The Rockford Files, Magnum, P.I., Law & Order, The A-Team and so much more. "Believe It or Not" peaked at No. 2 on Billboard Hot 100 in August 1981. Alas, the Lionel Richie–Diana Ross duet "Endless Love" kept it from reaching the peak. 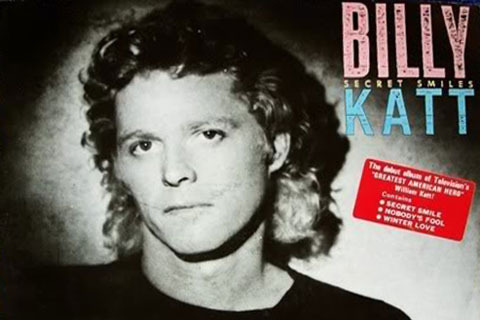 Katt released a pop album under the name Billy Katt in 1982. Katt himself tried to get on the charts. However, his slick slab of Daryl Hall–ish power-pop, Secret Smiles, failed to catch interest. Here's the single, "A Girl Like You." Katt's mom plays his mother onscreen, too. Katt is the son of TV legend Barbara Hale, best known as Della Street on Perry Mason. 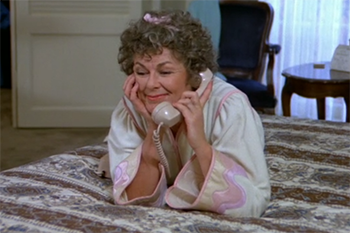 Hale appears on The Greatest American Hero playing Hinkley's mom, Paula. Creator Stephen J. Cannell was dyslexic. 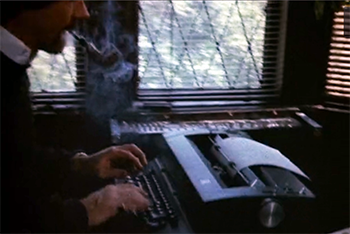 Television pioneer Cannell will forever be remembered for his production company logo, which depicted him pounding away on his Selectric typewriter, smoking a pipe, before tossing a completed page onto a script pile. In an interview on tvparty.com, he explained how he overcame dyslexia to become one of the great small screen creators and writers. "The spell check won't even work for me because I'm so far off the word," he joked. "It just starts to smoke when I hit the spell checker." Cannell passed away in 2010. Meanwhile, during the production of The Greatest American Hero, the hit series Dallas was in the midst of contract dispute with its star Larry Hagman. It was the typical reason — the star wanted more money. The producers considered writing Hagman off the show by means of an accident. As the website Ultimate Dallas explains, "J.R. is terribly injured, especially his face. 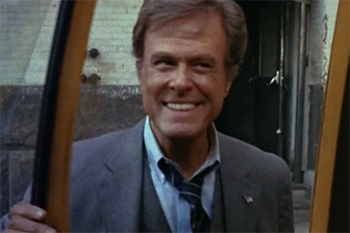 He'll need plastic surgery and that would allow the producers to substitute [Robert Culp] to play J.R. Or that was one of the ideas being kicked around." However, Culp expressed no interest in leaving Hero and Hagman eventually signed a new contract. Culp was so fond of the gig that he was one of the principle forces pushing for a sequel series, The Greatest American Heroine. Hinkley passes the costume off to teacher named Holly Hathaway (Mary Ellen Stuart). A pilot was made, though the series was never picked up. It is sometimes included as the final episode in syndication packages.